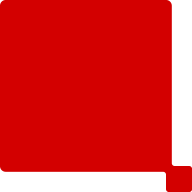 Under our Corporate Value Proposition “EMPOWERING DIGITAL WORKPLACES”, Ricoh has been supplying products and services that have been meeting your needs by empowering your workplace for a long time. Our line-up includes products and services portfolio is fully flexible and be tailored to meet your specific needs. Our global network can provide you with our products and services in approximately 200 countries. Ricoh offers not only printers and copiers but also visual communication systems that can be used anywhere you work. These expert products can transform the way you work and collaborate across the world. Through extensive research and development, Ricoh has built a unique inkjet technology portfolio over the last 40 years. We have three key inkjet technologies; Inkjet heads, Ink supplies, and Color matching positioning control. Our technologies help our customers transition from offset to digital printing, giving them greater flexibility and an affordable price. 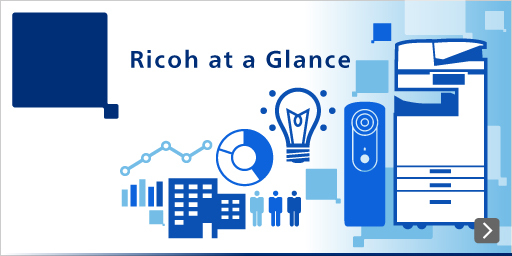 Ricoh has been refining its optical, image processing, and production technologies ever since we were established in 1936 as a printer and copier manufacturing company. Each of our industrial products can help strengthen your value chain. Ricoh developed the world's first camera that captures fully spherical images in 2013(*1). We support you in using this camera in your business by storing and analyzing the pictures and/or movies you need. (*1) As a mass-produced consumer product capable of capturing the scene around, above and below the device in a fully spherical image (as of October, 2013, based on Ricoh research).